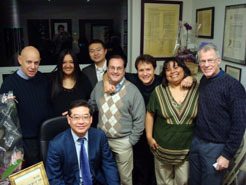 Flushing Immigration Lawyer - The Law Office of David K. S. Kim, P.C. 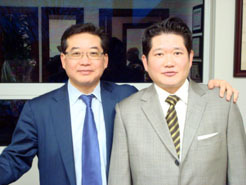 The Law Office of David K. S. Kim, P.C. handles all aspects of immigration and nationality law, including the most complex cases. 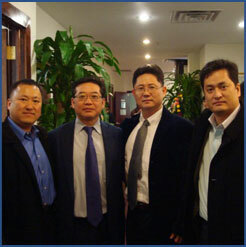 Click here to view examples of Attorney Kim's successful cases. Prospective immigrants in this category must go through three stages in application process. First, a PERM — old labor certification — must be filed with and certified by the U.S. Department of Labor (DOL). This stage requires proving to the DOL that no U.S. citizen or permanent resident workers with the required minimum educational and/or work experience is available to fill the job offered to the prospective immigrant. Once the PERM application has been certified, the petitioning employer files an I-140 petition for an immigrant visa on behalf of the prospective applicant. Finally, the prospective applicant files his/her own I-485 Application for Adjustment of Status — green card application — or applies for an Immigrant Visa at the U.S. Consulate in his or her home country. The later is commonly known as "consular processing." With the exception of U.S. citizens, persons in any immigration status, including lawful permanent residents, can be placed in removal or deportation proceedings. This action, can have serious consequences, including permanent banishment from the United States, continued detention, and permanent separation from families and loved ones. Whether someone is removable is a legal and factual issue that can be disputed in Immigration Court. David K.S. Kim has a proven track record of winning the most difficult removal cases. Federal court litigation requires superior legal research and writing skills, and oral advocacy, and is an extremely time-consuming and labor-intensive process. Immigration law is no exception, and there are few immigration law practitioners in the country who can competently handle federal court litigation. David K. S. Kim, having extensive experience in these proceedings and appeals, is one of them. For help with your immigration goals, contact the Law Office of David K. S. Kim, P.C. to arrange a consultation. Attorney Kim speaks English and Korean.